Great Southern Hotel Brisbane is centrally located in Brisbane, a 4-minute walk from Treasury Casino and 6 minutes by foot from Queen Street Mall. This 4-star hotel is 0.3 mi (0.5 km) from Brisbane Botanic Gardens and 0.4 mi (0.7 km) from Eagle Street Pier. Make yourself at home in one of the 99 air-conditioned rooms featuring flat-screen televisions. Wireless Internet access (surcharge) keeps you connected, and digital programming is available for your entertainment. Private bathrooms with showers feature complimentary toiletries and hair dryers. Conveniences include phones, as well as safes and desks. At Great Southern Hotel Brisbane, enjoy a satisfying meal at the restaurant. Cooked-to-order breakfasts are available daily from 6:30 AM to 10 AM for a fee. The hotel offers a restaurant. A computer station is located on site and wireless Internet access is available for a surcharge. 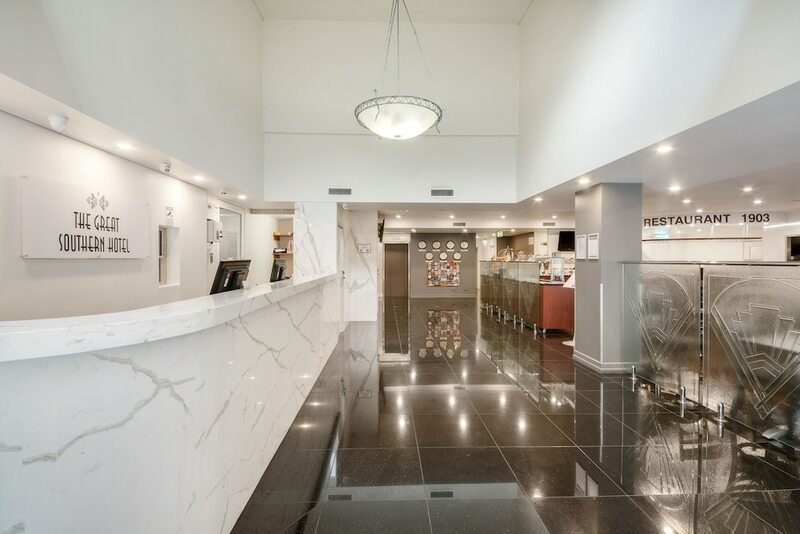 This business-friendly hotel also offers tour/ticket assistance, laundry facilities, and dry cleaning/laundry services. Limited onsite parking is available on a first-come, first-served basis (surcharge). Great Southern Hotel Brisbane is a smoke-free property. Great Southern Hotel Brisbane has a restaurant on site. Construction is underway at a neighboring building and there may be noise disturbance from the construction work. Parking height restrictions apply.